This definition of a tonic clearly excludes the notion of "making stronger" by pushing the body in one direction only. A particular non-tonic drug or herb designed to enhance the function of the immune system, for example, might stimulate the production of white blood cells. Goldenseal is an example of this kind of action. Administered to an ailing patient, it would increase T-cell activity and enhance other immunological functions. That's all it would "know" how to do. It would not be able to recognize the difference between a body deficient in white blood cells and one that had too many white blood cells. Its action is uni- directional. It carries but one signal to the body system; in this example, to produce more white blood cells. This over-stimulation could lead to severe imbalances, and it is unlikely that such an agent would be able to address the problem of an over-reactive immune system, as, for example, in a person with an allergy. 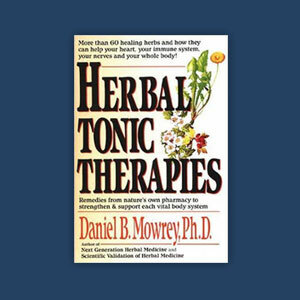 In contrast, an immunotonic is an herb that restores balance to the immune system function no matter which way it departs from normal. It is bidirectional. Echinacea is such an herb. It is capable of sending either of two possible contradictory signals to the body. Thus, in a person with depressed white blood cell counts, Echinacea sends a signal to the body to begin producing more white blood cells, and in a person with too many white blood cells, it decelerates the production of white blood cells. It stabilizes the histamine- containing mast cell membrane in persons with hay fever rather than sensitizing it, as do many immune-enhancers.